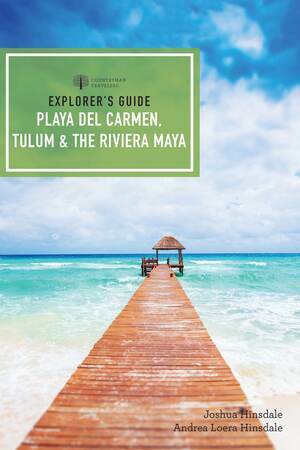 Explorer's Guide Playa del Carmen, Tulum & the Riviera Maya - Description | W. W. Norton & Company Ltd.
Joshua Hinsdale’s insider knowledge and selective recommendations make this book a must- have for your sojourn on the Yucatán Peninsula. Let it help you make the most of your time in this beautiful place: delve deep into fascinating Mayan ruins, explore the pedestrian boardwalk in Playa del Carmen, or fish for elusive bonefish along the famous Sian Ka’an biosphere reserve in Punta Allen. This new edition features gorgeous new photography; detailed maps; rich history; a glossary of English to Spanish phrases; a rundown of the best local swimming lagoons, hidden beaches, and taco bars; events calendars; and much more.